A former Roma concentration camp in South Moravia was turned into a holiday resort in the 1960s. Now the site is set to become a documentation and educational centre with a permanent exposition on the Romany Holocaust – the first institution of its kind in the Czech Republic. About 6,500 Bohemian and Moravian Roma went through two concentration camps in the occupied Czech territory before they were shipped to Nazi extermination camps. The best known of them is Lety, which today houses a pig farm criticised by the European Commission. The other is in Hodonín u Kunštátu, some 40 km north of Brno, South Moravia, which might become the country’s first and only research and educational centre on Roma history and culture. Minister for Ethnic Minorities and Human Rights Džamila Stehlíková led the negotiations with the property’s owner. The former concentration camp will become an international research and educational facility with programmes on Roma history and culture for schools, teachers and the public. 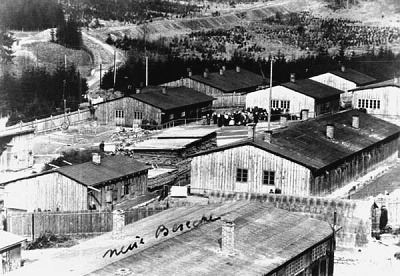 The only surviving barracks building will have the country’s first permanent exposition on the Romany Holocaust. The centre will be part of the Brno-based Museum of Roma Culture, whose director Jana Horváthová says education on Roma Holocaust should be included in school curriculum. Apart from an exhibition on the Roma Holocaust, the Museum of Roma culture is also planning to use the centre for presenting their unique collection of visual art as well as for an outdoor museum with samples of historic Roma housing. Minister Stehlíková again. Provided the Museum of Roma Culture receives sufficient funding, the documentation and educational centre in the former Roma concentration camp in Hodonín u Kunštátu could open in middle of next year.